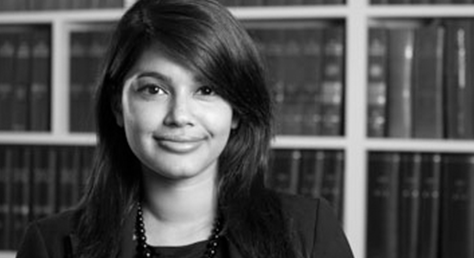 Nusrat Uddin, a solicitor in our Public Law department, successfully represented our client, who we will refer to as ‘S’ in order to protect her identity, on a claim for wrongful arrest by the police where substantial damages were secured. In 2016 S was reported to the police by her ex-girlfriend who alleged S had been harassing her, under the Protection from Harassment Act 1997. S denied the allegation and contended that she was in fact a victim of continued psychological abuse from her ex-girlfriend. S had been suffering from mental health problems for many years and had a diagnosis of borderline personality disorder, which the police had been informed of four days prior to her arrest. The police constabulary involved in this will not be named. The police have a duty to investigate any such allegation of harassment, and the proportionate and reasonable action in this situation would have been to ask S, who has no criminal record, to attend the police station to answer questions as part of the investigation. Instead, two officers attended S’s flat at 4am in the middle of the night to arrest her, she was taken to the police station and placed in a cell. Over the course of the arrest S presented as significantly emotionally distressed, she was crying and distraught, no medical examination was conducted even though she informed custody officers of her mental health condition and asked for medical assistance. Although she was told she would be interviewed at 8am when interviewing started and at latest by 2pm that afternoon, she was not interviewed until 8pm, some 16 hours after her arrest. During that period her mental health deteriorated significantly and she had a panic attack. She called the communication bell from her cell on a number of occasions but states that she was laughed at, jeered at, and told to shut up. This exacerbated her emotional state and S felt suicidal at points. When she was finally interviewed, S was not provided with an appropriate adult, in line with the protections under PACE Code C for a vulnerable person suffering from a mental health condition. Following her interview, S was given legal advice by her solicitor who advised her not to accept a caution if offered. After the interview S was placed back in the cell, despite pleading with officers not to be detained again. Just after 10pm, when S was understandably desperate to go home, there was a discussion between the officers and S without her solicitor (and again without any appropriate adult) during which time she accepted the caution. She was then released after 11pm that night. The conduct of this police constabulary in S’s arrest raised significant areas of concern, in relation to their failures to follow PACE C Code and their duties under the Equality Act 2010 to protect vulnerable persons with mental health problems such as S. Since the arrest S has been diagnosed with PTSD as a result of the incident and is receiving further treatment. With our assistance S pursued a complaint against the police and a civil claim for wrongful arrest, false imprisonment, breaches of the European Convention of Human Rights, failures under the Equality Act 2010 and personal injury. The police have since expunged S’s caution and apologised to S. The civil claim has settled for a five figure sum of compensation. The process of pursuing this action against the police was not an easy journey for S to undertake, but she has finally received the vindication she sought and deserved. We are reminded of the strength it takes to challenge state bodies and without our clients’ courage to take such action we would be unable to play a role in ensuring accountability in the state’s use of their far reaching powers, which in today’s environment is increasingly necessary. If you are concerned or affected by this issue and would like to discuss further please contact Nusrat Uddin in our Public Law team on 020 8808 535 or n.uddin@wilsonllp.co.uk.